First of all, I would like to welcome you to our website Guest in Tuscany. 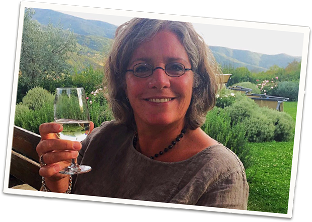 My name is Addy van Zoest - de Gast and I've been trying to give my guests the best Italia experience for the past 17 years. During this time I got to know almost all of our residences and their owners. This site doesn't provide insight in the availablity of our residences, but I always deliver quality advice. A lot of our guest call or mail us to tell us their wishes. I translate these wishes into their ideal holiday residence. This saves them a lot of time searching the web. When you've provided me with your wishes, I will send you an overview with the residences that will fit your criteria best. What do I need to know to find your ideal residence? First of all: the date, the number of persons/children, your age, is Wi-Fi important etc.? Would you like a detached residence with a private pool or can it be a shared location? And not entirely unimportant, what is your budget? I would love to hear from you, and you might also become a Guest of Tuscany. A lot of our guests leave us a message with their experiences! 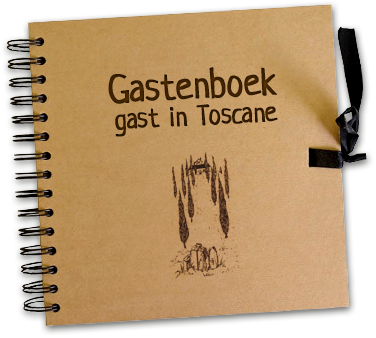 We'e bundled these messages in a digital guestbook to give you an impression about the beautiful Tuscany. Click on the guestbook above to read these messages. Click here to leave your own personal message. Would you like some advise? No problem! Just call or mail us.